Barbara Edwards Contemporary, Calgary is pleased to present a solo exhibition of works by acclaimed Canadian sculptor, Robert Murray. 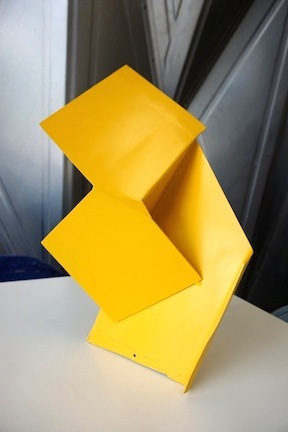 Murray is known for his iconic steel sculptures that form a significant contribution to the postwar debates on abstraction, industrial fabrication and public art. This exhibition will feature a selection of small and medium scale sculptures, wall relief sculptures and works on paper. Robert Murray, considered one of the most significant sculptors of his generation, was born in Vancouver in 1936. He studied at the University of Saskatchewan's Regina College of Art and was an active participant in the Emma Lake workshops led by critic Clement Greenberg, Jack Shadbolt, Will Barnet, John Ferren and his longtime friend Barnett Newman. Newman encouraged Murray to move to New York in 1960, he currently resides in West Grove, Pennsylvania, and spends summers at his cottage on Georgian Bay, Ontario. Murray's work is included in major museum and private collections throughout Canada and the U.S. including: the Whitney Museum; National Gallery of Canada; Art Gallery of Ontario; Montreal Museum of Fine Art and the Metropolitan Museum of Art, to name only a few. Murray was honored with a major retrospective by the National Gallery of Canada in 1999 and received the Order of Canada in 2000. Follow the link here for a unique look into the artist’s life and work in Georgian Bay, Ontario, a landscape that has influenced Murray’s artwork for many years. Robert Murray, Calgary, 2015 from Barbara Edwards Contemporary on Vimeo.